Superdry men's International monochrome oversized crew sweatshirt. 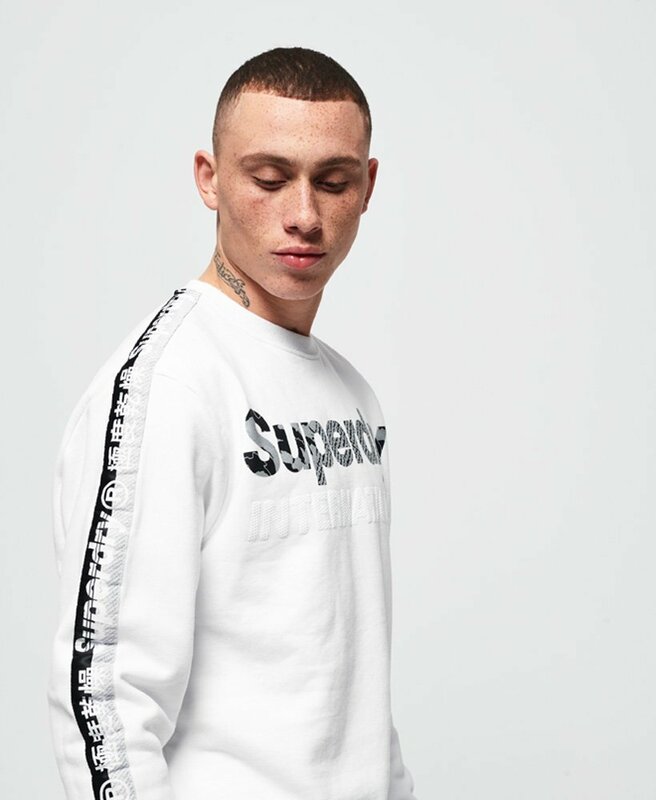 Keep it casual in this crew neck sweatshirt, featuring a textured Superdry logo across the chest and logo taping down the sleeves. This sweatshirt comes in an oversized fit, making it perfect for creating a relaxed look. Complete with ribbed trims and a Superdry logo tab on the hem, this sweatshirt would look great paired with joggers.